There’s a lot of stuff out there to learn from, but the content alone is not enough.  The information overload can leave you overwhelmed and confused about what to do to move forward. There is no “one size fits all” program out there that works for everyone. You need personal guidance and coaching. My name is Stefano Ashbridge and I love to help drummers perfect the art of hitting things. Together we will work to overcome your frustrations and pinpoint exactly what you need to make maximum improvement in the shortest time possible.I will teach you to be creative with what you learn. 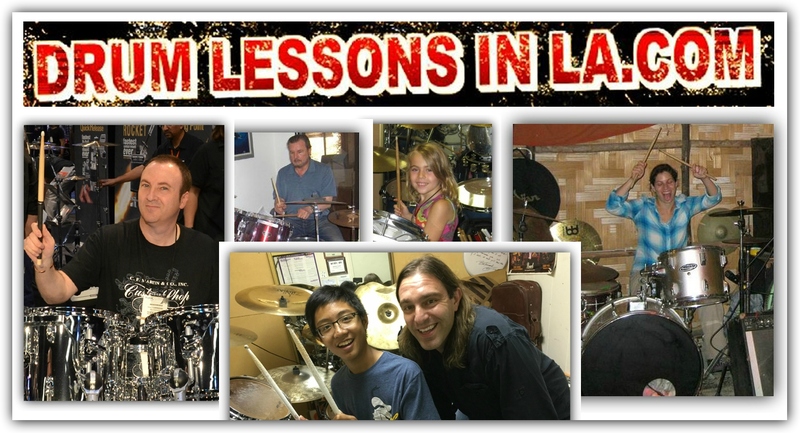 Our lessons together will give you the guidance and motivation you need to play the drums the way you’ve always wanted.I won’t just show you what to do but I will guide you step by step through the process. 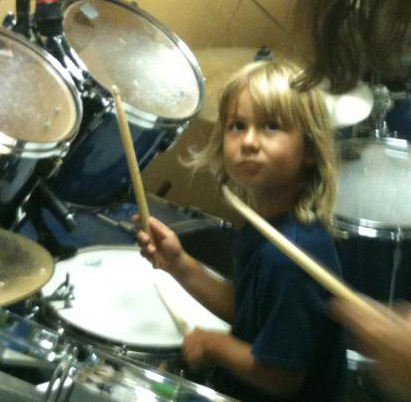 I have coached hundreds of drummers of all ages and skill levels. Nothing makes me prouder than when my students play their first show, record an album, or go on tour. Let’s talk about how I can help you with your drumming. 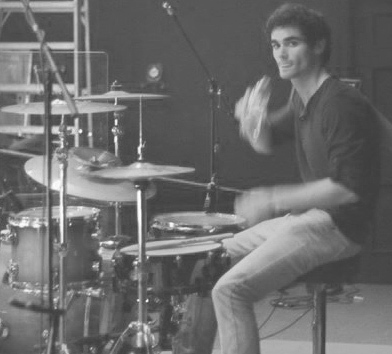 Stefano is the only reason I still play drums. 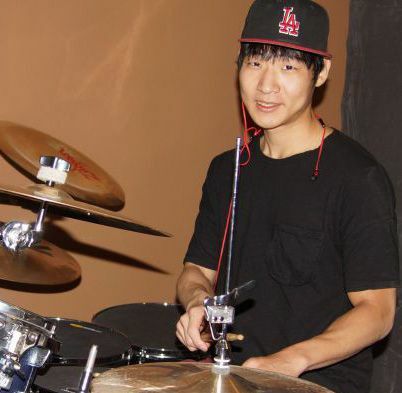 He has really helped me focus my playing and technique to be a better drummer, and musician. 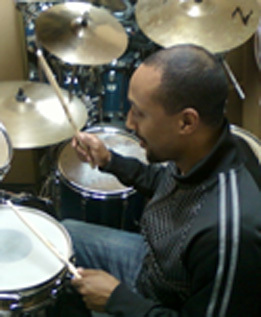 Stefano is very passionate about drums and teaching. He is very patient and helps beginners feel comfortable. I am an absolute beginner and I actually like the lessons. 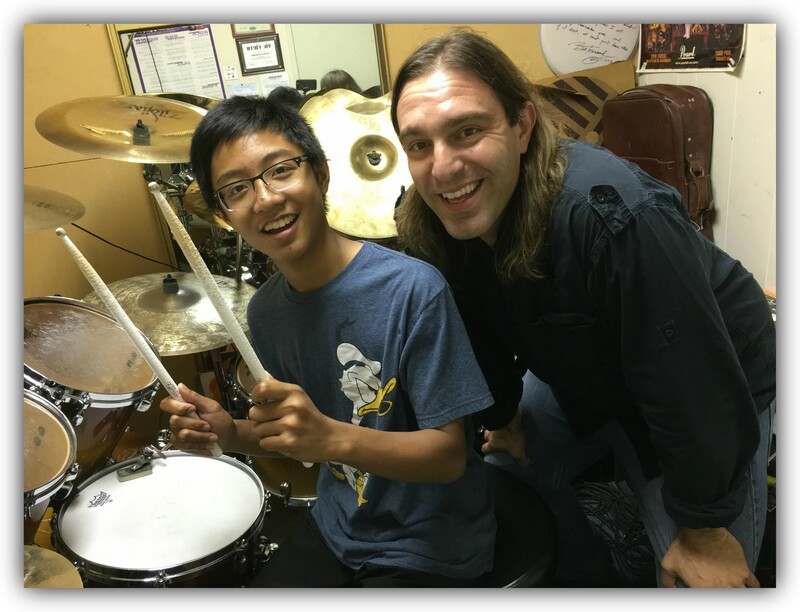 I was amazed to be playing the drum set in just one lesson with Stefano. There’s something about his calm and patient approach that magically turned the key for me. He’s a perfect teacher for me because of his organized, systematic teaching and his friendly, encouraging style. 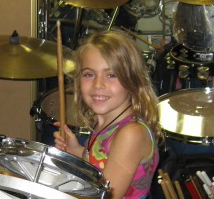 I’ve secretly been in love with the drums for many years but was too shy to admit it. Finally, I decided to put my fears aside and try just for the sheer joy of it. It took me a long time to get up my courage since I had a brief experience with another instructor that made trying the drum set intimidating. I didn’t know what to expect and really didn’t know if I could do it. I’ve progressed quickly and painlessly in relatively few lessons while having fun playing to my favorite songs. Every class is FUN and I learn a lot almost effortlessly thanks to Stefano’s techniques, teaching expertise, and easy-going style. 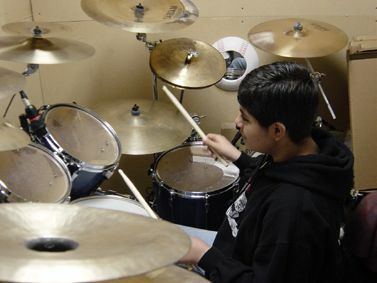 Your drum lessons here will give you the tools and motivation that you need to play the drums the way you’ve always wanted. You'll get custom-tailored lessons, that work with your schedule, for the specific things you'd like to improve. Together we will work to overcome your frustrations and have FUN making maximum improvement in the shortest time possible. If you're new to drumming or already at a professional level, I will guide you step by step through the process you need to become the drummer you want to be. I have appeared on DrumChannel.com as a guest panelist and was asked to judge the 2017 Hit Like a Girl contest. I am a member of the Sabian Education Network and Hudson Music's Teacher Integration Program. 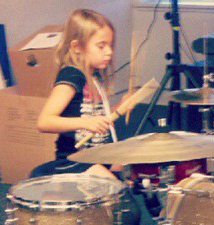 More importantly, I have coached hundreds of drummers of all ages and skill levels. Nothing makes me prouder than when my students play their first show, record an album, or go on tour.